Bankhead Lake. This is the origin of the Warrior River near Birmingham, Alabama. To most of the locals its just known as “The Warrior”. A dam was built in 1916 to back up this old river and Bankhead Lake was created. This inundated old houses and buildings, feeder creeks, streams and the incoming Big and Little Warrior Rivers, creating a vast lake full of fish-holding cover. 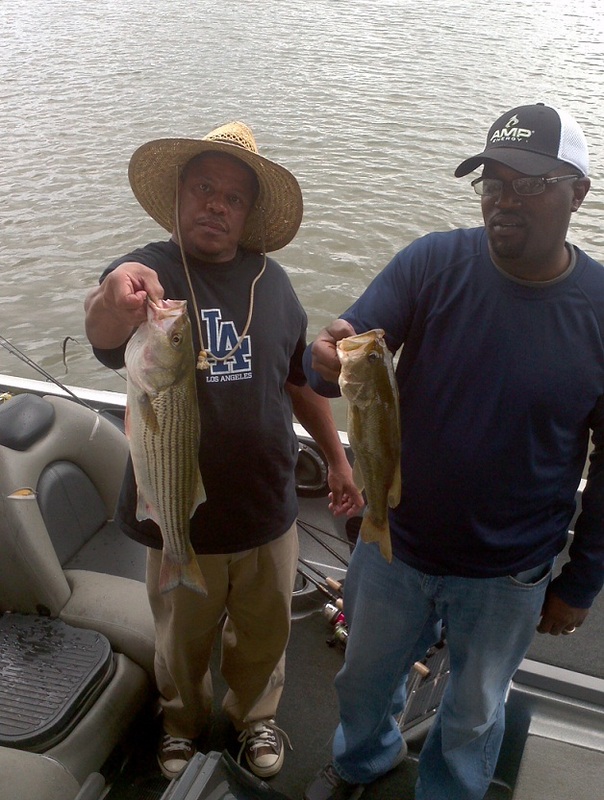 It still produces good catches of bream, catfish, crappie, striped bass, spotted bass and some Big largemouth bass. When summer arrives and the residents hit the water it can get crowded at times, but there are many places to escape the crowd on the Warrior River and adjoining Little River, near Howton’s camp…that is if you can stand the heat. Far back in the many feeder creeks or far up the river headwaters are places with current, shade, cooler water and some big ol’ bass. One factor always holds true on The Warrior River. Find the baitfish and you will find the bass. 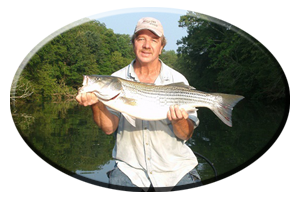 Spotted bass, largemouth’s and striped bass stay with these baitfish all summer, as they follow them up in the many creeks and small pockets off the main river. Schooling takes place at times and the fishing can be fast and furious. On the main river, boats, water skiers, jet skis, sight seers, pontoon parties and more traffic gets thick. Fishing and concentrating gets pretty unbearable on top of the hot sun bearing down. Travel far up the river or explore the creeks to get away from these water vehicles and to cool off. Thick weeds, logjams, rock bluffs, creek mouths, points and islands are just a few of the cover-filled areas on this long and winding river. Conventional lures always get a few bites. 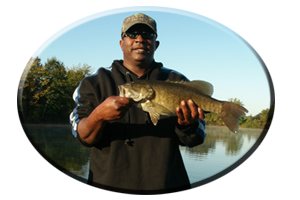 Spinnerbaits, buzzbaits, worms, crankbaits, rattletraps, various topwaters and weed less lures all work well, when fished in the right spot. Jigging spoons on the main river channel always gets some bass. A good tactic is to fish from river buoy to buoy as you work your way up or down the river. 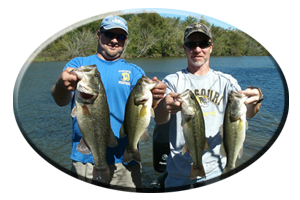 When a few bass are caught rework the area with bottom-bumping lures such as worms and jigs for less active bass. If fishing during the day is to hot or crowded try the peaceful setting of night fishing. There are bass tournaments out of Howton’s camp each week. Participation is good usually resulting in a good payback. If tournaments is not your cup of tea, then you can get a head start on the crowd for night fishing by launching before 6 P.M.. When its hot, the big bass bite better at night. Its much cooler, more comfortable and much less boat traffic than during the day. Fishing this cover-filled river takes some knowledge of your surroundings, because after dark everything looks the same. 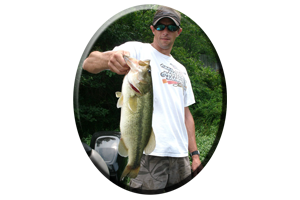 *Note – Run the lake during daylight hours to better familiarize yourself with obstacles and choice fishing spots. Look for landmarks that are easily seen after dark. Barge traffic runs all day and night and can be hazardous when one approaches. Stay far away and prepare for huge wakes afterwards. When running at night always use a spotlight and run at moderate speeds. Floating logs are always in this river and can’t be seen …until its to late. 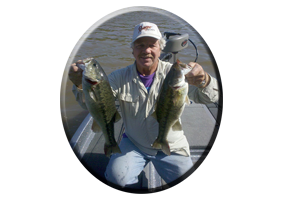 Best lures for fishing on this portion of the old Warrior River for nighttime are a matter of preference. Its a known fact that more tournaments are won with worms (all sizes) on a regular basis. Frogs, rats and buzzbaits also take their share of the topwater bite. There are weeds, lily pads and scummy backwaters that these lures will penetrate when other lures just hang up. Spinnerbaits always take some hefty bass especially just before sundown, at dawn and after dark when bass track down a lure. Experiment, there is always something in your (or your buddy’s) tackle box that these nighttime feeding bass will hit.